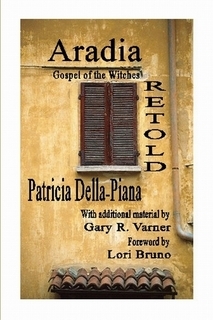 When Charles Godfrey Leland published Aradia or the Gospel of the Witches at the end of the nineteenth century as the crowning product of his Italian researches of the 1880s and 1890s, he believed he was preserving what remained of an ancient but dying tradition before it was too late. Over the years, a number of authors, scholars and pagans alike, have gone back to Aradia and attempted to clarify or expand on the material Leland presented. Many of them (most?) were not Italian, or even versed in that language, making any translation or understanding by them immediately suspect. Finally we have a new translation of this 120-year old book, one that ignores the question “Is the material factual?” in favor of cleaning up the inaccuracies in the text (likely from translation errors) and providing commentary that clarifies what might be meant in terms of the authors’ personal knowledge of Italian culture and superstitions in practice even today. This is a very well-done, exhaustively annotated, scholarly work. Highly recommended.